Currently Of Counsel at WTW – Taipei Commercial Law Firm, David has lived and worked in Greater China since 1993. 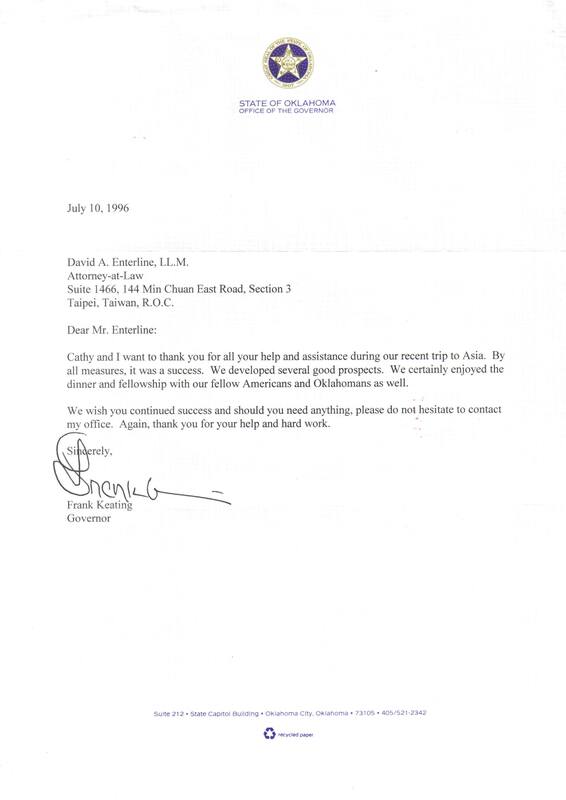 He began his legal career with the Dallas immigration law firm Tidwell Swaim & Associates, formed by the late Sam Tidwell. 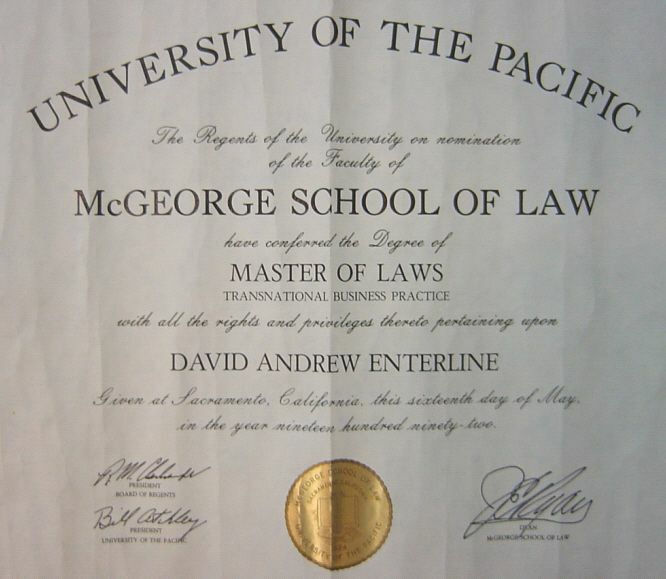 David’s professional career has been predominately practicing U.S. immigration law in China, Hong Kong, and Taiwan. Currently a resident of Taipei, Taiwan, David frequently travels and speaks on EB-5 law in China (see EB-5 experience below). 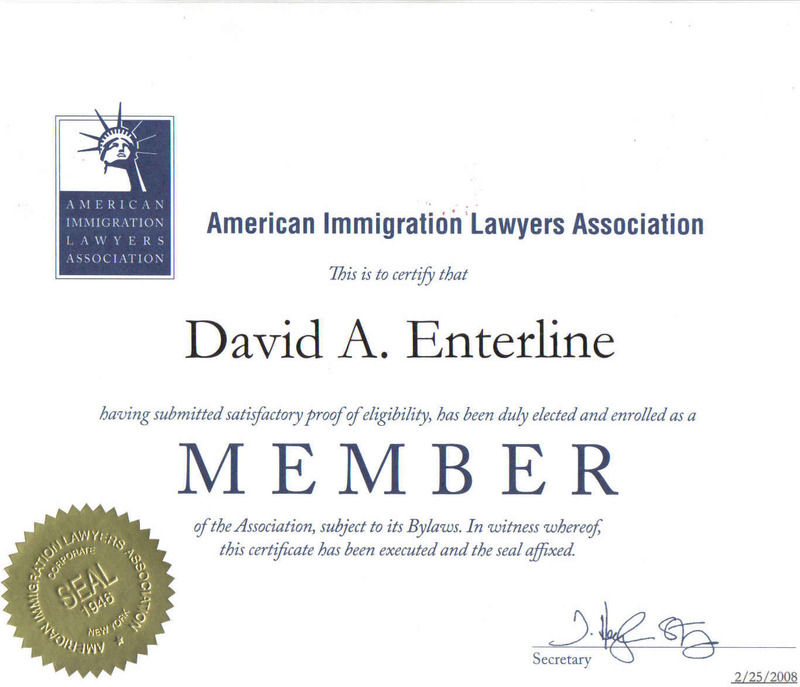 He is a member of the American Immigration Lawyers Association, The Association to Invest In the USA (IIUSA), and has been listed in "An International Who's Who of Corporate Immigration Lawyers" published by Law Business Research. 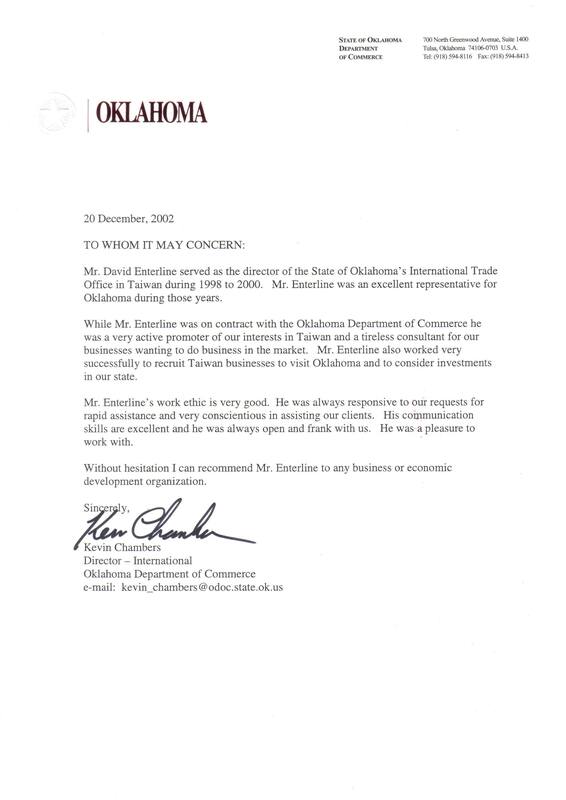 During his career, David has also held several other positions, including serving as the Representative for the Oklahoma International Marketing Office in Taiwan representing the State of Oklahoma Department of Commerce concurrent with his law practice. 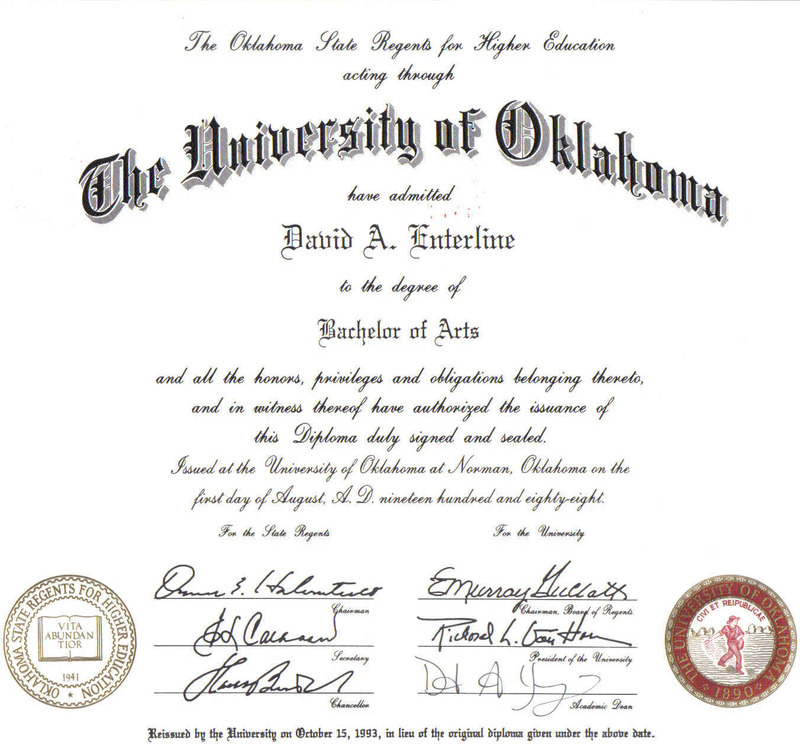 In addition to EB-5 matters, David consults on inbound and outbound investment, regional business development, international commercial agreements, and international dispute resolution. 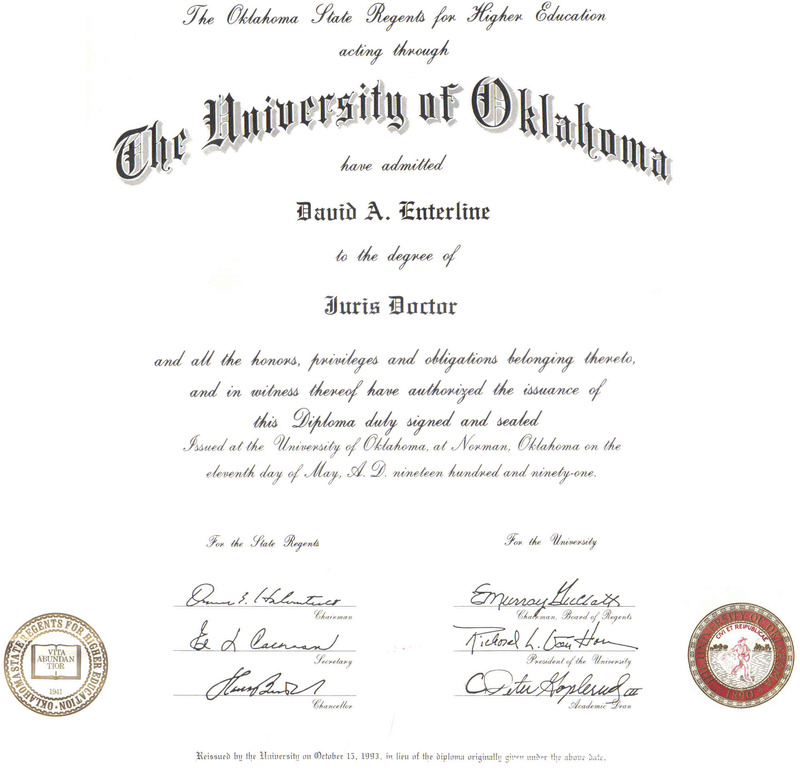 David received his BA and JD degrees from the University of Oklahoma and his Master of Laws degree in Transnational Business from McGeorge School of Law in Sacramento California. “Petition Stuck in Limbo? Seek Assistance from the DHS Ombudsman’s Office” – AILA Bangkok District Chapter Newsletter, January 2016. STI US Equity LLC – created to provide financing to the target developer to entitle and develop land parcels for residential development and sale to national, regional and local home builders; the “Treaty Oaks” Project. Whales Point Fund, LLP - created for the purposes of making an EB-5 loan of $34 million to the Developer for the development of luxury vacation rental resort on the Big Island of Hawaii. October 2014 – Speaker – “Thinking Globally: Competition from Immigrant Investor Programs & Investor Market Diversification” – IIUSA 4th Annual EB-5 IIUSA's 4th Annual EB-5 Market Exchange, San Francisco, California.